Hope you stuffed yourself silly over the weekend! 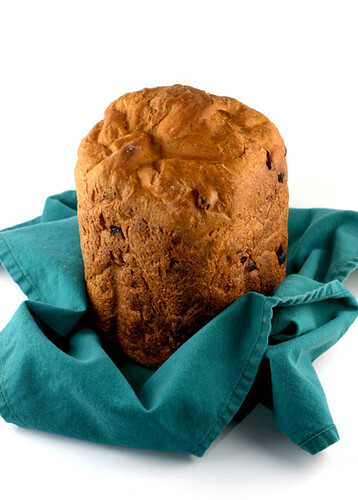 Here’s the raisin bread recipe I promised for your Best Turkey Sandwich EVER! ← Best Turkey Sandwich EVER! WOW! You made that bread?! It is beautiful! Stunning! And reminds me of a pannettone! Gorgeous indeed – thanks for sharing the recipe….and the photos of the sandwich! Lovely bread! I love oats in bread and the bread machine. Makes serving home made bread an easy task for sure! I made this bread this week end. I was wonderful!!! Makes delicious toast, slathered in butter!! Hi – I saw this bread recipe and had to make it! I am new to the whole bread-maker machine thing. I have only made 2-3 loves so far. This bread came out tasty but very heavy and dense. Is that the consistency it’s supposed to be? Did I use too much flour for my bread-maker I wonder? You made it correctly! Keep on a rockin’ with your machine, the smell of fresh bread, especially in the winter, is TOPS! If you want a lighter profile, you could probably omit a 1/2 cup of flour. Thanks for the response Tina!